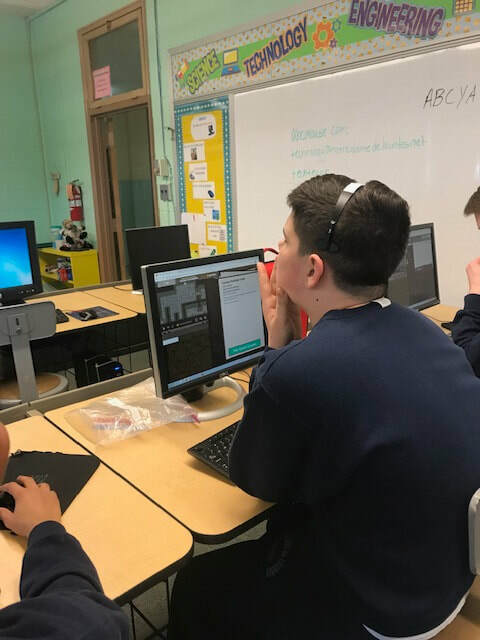 It was during my first year as a technology teacher, that I began using Code.org to help teach coding skills to my students. It is a fantastic platform that I continue to use to teach block based coding to my younger students. The activities and resources code.org has are well designed, simple and totally free. However, while observing my junior high students using it, I realized that they were becoming bored by the lack of a fresh challenge. The following year I did some research and asked my colleagues; I was looking for an exciting new free program to help teach older students advanced coding. Jonathan from The Uncommon Individual Foundation highly recommended CodeCombat. I tried it out, and LOVE IT! ​I first wanted to create classes for all of my students on the teacher dashboard. Thanks to the clear layout and simple navigation, it was easy. On the dashboard there are three main sections: Classes, Course Guides, and Resource Hub. A simple class code was all that the students needed to create their accounts and join our class. From the teacher dashboard I can easily keep track of the all the student’s progress and assign courses to either an entire class or to specific individuals. At the end of each course, students have the ability to challenge each other using the Arena Ladder. Unfortunately this comes with the paid subscription, which we are not using. For my students, the free version alone worked perfectly. I can say that the students who made it to the Arena Ladder stage were begging me to buy it so they could try out this feature. It looks so cool! Teachers should be sure to check out dashboard’s Resource Hub. Here each lesson is part of a Common Core standards aligned Computer Science Course. 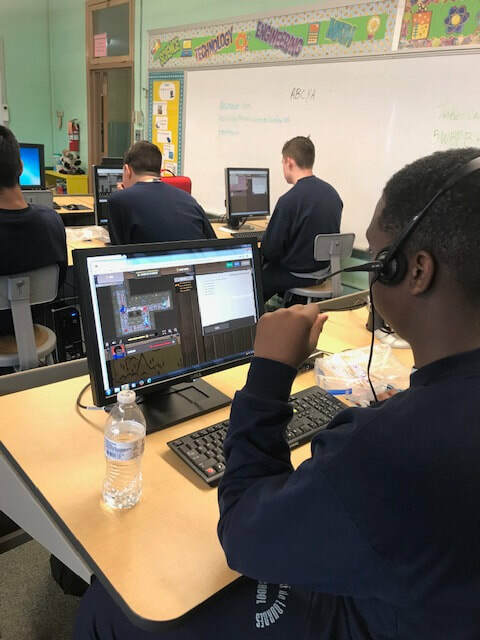 There are currently six Computer Science courses, two game development courses, and two web development courses available on CodeCombat. Each lesson has an overview, key terms, objectives, and step by step directions. The Resource Hub also has many links to help answer questions that may arise during the lesson. ​The free subscription comes with the Intro to Computer Science Course which has a total of 20 lessons. The kids really like that they were able to type out, test and run the real code. I loved watching my students conquer the coding challenges with each new lesson getting progressively more complex. Teachers will want to prepare for the occasional frustrated student. Just like real coders struggling to find a hidden bug, the student's code may not run on their first try. Obviously, some students were frustrated by this lack of initial progress, but for me this was a perfect opportunity for discussions about dealing with life’s challenges. This helped the students see failure instead as an important part of the Engineering Design Process. 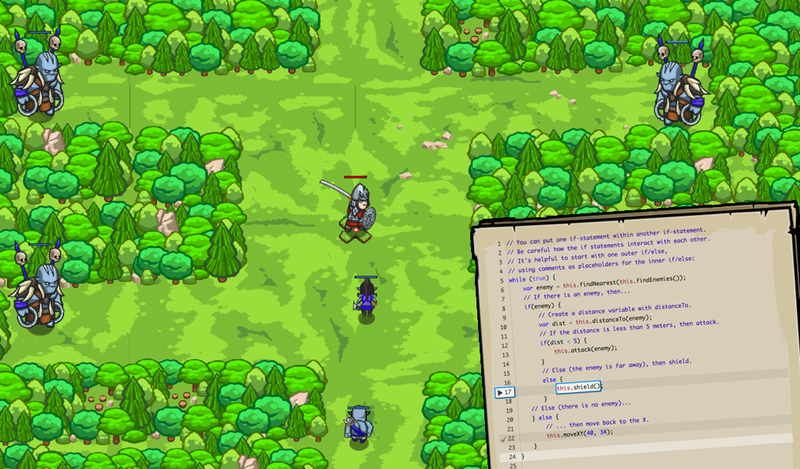 I absolutely love that CodeCombat teaches the students how to write real typed code. 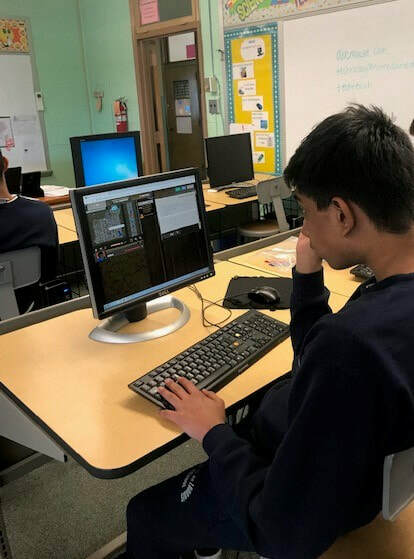 It challenges the students and pushes them to continue coding with an engaging story and wonderfully designed game environments. The games uses exciting characters and fast-moving scenarios that really capture their attention! Ms. Hunter has been teaching at Notre Dame for 21 years. When she isn't teaching, she loves spending time at the pool with her son Jack. Be sure to follow her on Twitter. 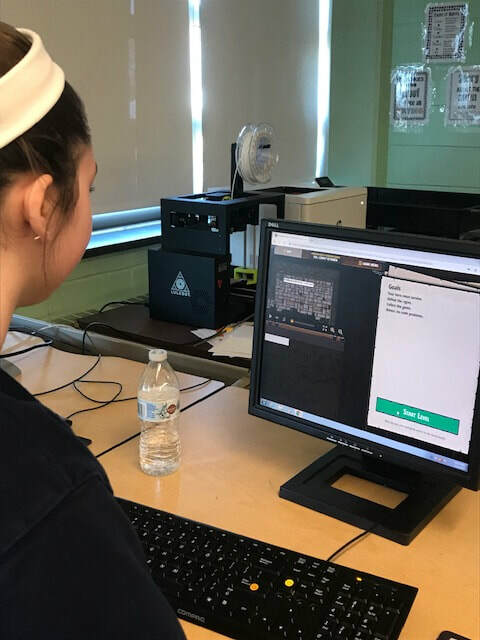 AoPTech would like to thank Ms. Hunter for sharing her CodeCombat experience with us.